CARFAX 1-Owner. REDUCED FROM $18,899!, $900 below Kelley Blue Book!, FUEL EFFICIENT 21 MPG Hwy/15 MPG City! Tow Hitch, Alloy Wheels CLICK ME! Running Boards, Satellite Radio, CD Player, Onboard Communications System, Trailer Hitch, Aluminum Wheels. includes (GU6) 3.42 rear axle ratio, (KNP) external transmission oil cooler and (KC4) engine oil cooler, provides increased trailering capabilities, includes neutral position for dinghy towing, with MP3 compatible CD/DVD player, seek-and-scan, digital clock, auto-tone control, Radio Data System (RDS), speed-compensated volume, TheftLock and USB port, (STD), Includes Standard Equipment, with Active Fuel Management, capable of running on unleaded or up to 85% ethanol (with gas - 320 hp [238.6 kW] @ 5400 rpm, 335 lb-ft of torque [452.2 N-m] @ 4000 rpm, with E85 ethanol - 326 hp [243.1 kW] @ 5300 rpm, 348 lb-ft of torque [469.8 N-m] @ 4400 rpm), iron block (STD), with individual climate settings for driver and right-front passenger. MP3 Player, Keyless Entry, Privacy Glass, Steering Wheel Controls, Rear Parking Aid. 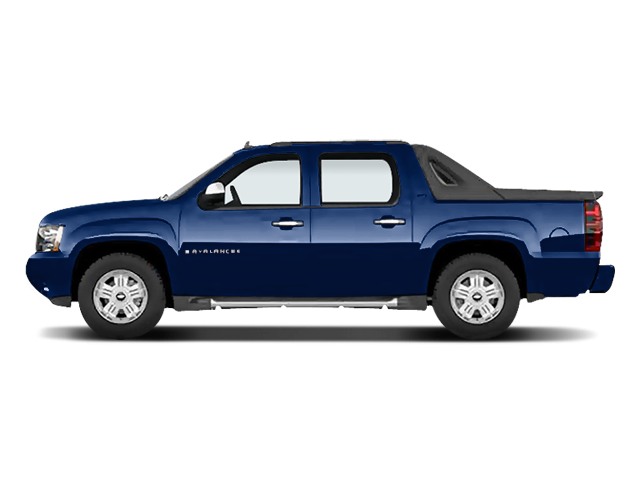 CarAndDriver.com explains "A blend of full-size pickup and SUV, the Avalanche delivers exceptional versatility.". 5 Star Driver Front Crash Rating. 5 Star Passenger Front Crash Rating. Reduced from $18,899. This Avalanche is priced $900 below Kelley Blue Book. Pricing analysis performed on 12/7/2018. Fuel economy calculations based on original manufacturer data for trim engine configuration. Please confirm the accuracy of the included equipment by calling us prior to purchase. Hello, I would like more information about the 2010 Chevrolet Avalanche, stock# X725. Hello, I would like to see more pictures of the 2010 Chevrolet Avalanche, stock# X725.